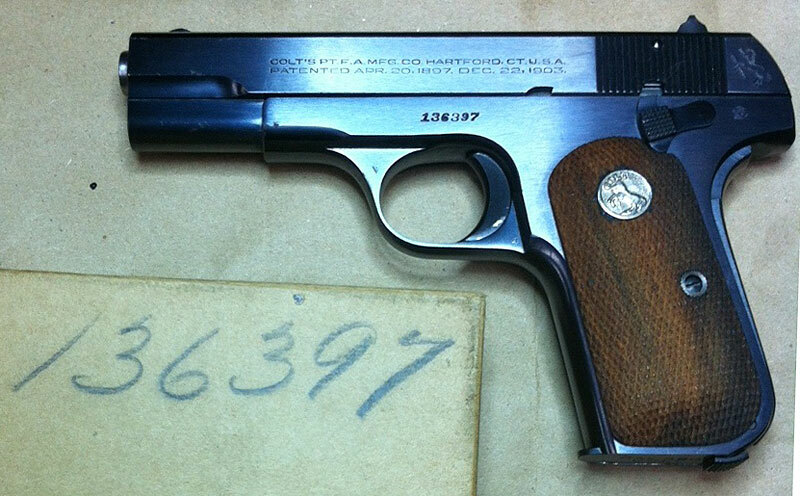 Colt Model M .380 ACP serial number 136397 - Military Model M .380 ACP pistol, original blue finish with U.S. PROPERTY mark on right side of frame and ordnance wheel on left rear of frame behind thumb safety. 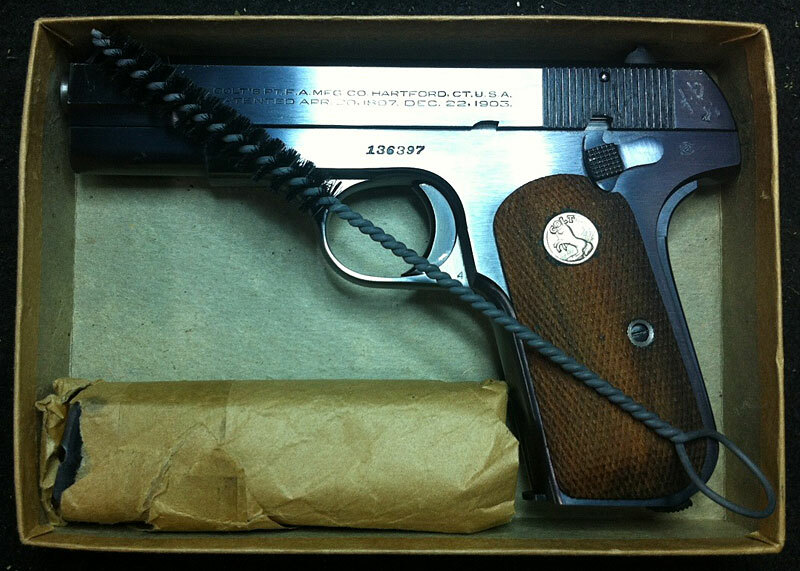 Pistol was issued to Brigadier General Norman Foster Ramsey and is pictured with its original serial numbered kraft two piece box with cleaning brush, and spare wrapped magazines. Pistol remains in the family where it will be passed from generation to generation. Born in Oakdale, Illinois in 1882, at age three Norman Ramsey moved to Kansas with his family. Two months before his 16th birthday he enlisted in the 20th Kansas Infantry Volunteer Regiment during the Spanish-American War. Ramsey and the 20th Kansas Infantry served in the Philippines Insurrection Campaign. He was discharged from the 20th Kansas Volunteers in 1899 with the rank of corporal. He was appointed to the United States Military Academy and graduated President of his Class in 1905. Department in 1920. This included a tour as Assistant to the Office in Charge of Shops and then Chief Engineer, at Rock Island Arsenal while the Arsenal was building the recoil mechanisms for the French 75mm howitzer, a weapon widely credited with turning the tide of WWI in favor of the Allies. Of greatest significance prior to his transfer to Ordnance, Ramsey was Liaison Officer to the French Artillery and Assistant Military Attaché, Paris, France. He was later the Chief Ordnance Officer, Service of Supply, US 3rd Army; Chief of Supply Division, Office of Chief Ordnance Officer, American Expeditionary Forces (AEF), France. Assistant to Chief Ordnance Officer, AEF. A large portion of his duties were related to closing out Ordnance accounts with the Allies, but these assignments were beneficial to support of the Army in France and as grounding in field Ordnance operations. In recognition of his services Ramsey was awarded Officer of the Black Star (France) and elected as Officer of the Order of the Crown (Rumania). Major Ramsey in charge of a party of 8 [eight] men, in close proximity to burning magazines and exposed to frequent explosions, searched for and located the body of Lt. George W. Bott, Jr., USA, who had been killed by the explosions, and with great difficulty succeeded in removing it from the wreckage. In the mid-1930s the Ordnance Department became serious about expansion of its ordnance facilities. In 1936 Chief of Army Ordnance Major General William H. Tschappat appointed Ramsey to chair of a board of five ordnance officers, who were to assess ordnance manufacturing, storage, and maintenance facilities and plan for their future expansion. From December 1936 to April 1937, he chaired the board that became known as the "Ramsey Board". During his Army career, BG Ramsey commanded three of the six Army arsenals that in the pre-World War II years had formed the cornerstone of our nation's ordnance research and development and production. While he made many significant contributions to Army Ordnance, BG Ramsey’s greatest accomplishments were while he commanded at Rock Island Arsenal (RIA). BG Ramsey is synonymous with the success of Rock Island Arsenal in WWII when Rock Island was the largest manufacturing plant and was critical to the US. Army as well as the British and other allied forces. Under his outstanding leadership, the Rock Island Arsenal not only produced great quantities of war materials, it also served as a research laboratory, a master Army depot, an instructional center for commercial firms converting to war production, and a key link in the supply of US materiel to Great Britain and the training of British forces to maintain that equipment. During his tenure the Rock Island Ordnance Center was established as an "umbrella" organization covering the Rock Island Arsenal (RIA), Rock Island Ordnance Depot, and Sub-Office of the Office of the Chief of Ordnance, Washington, DC. 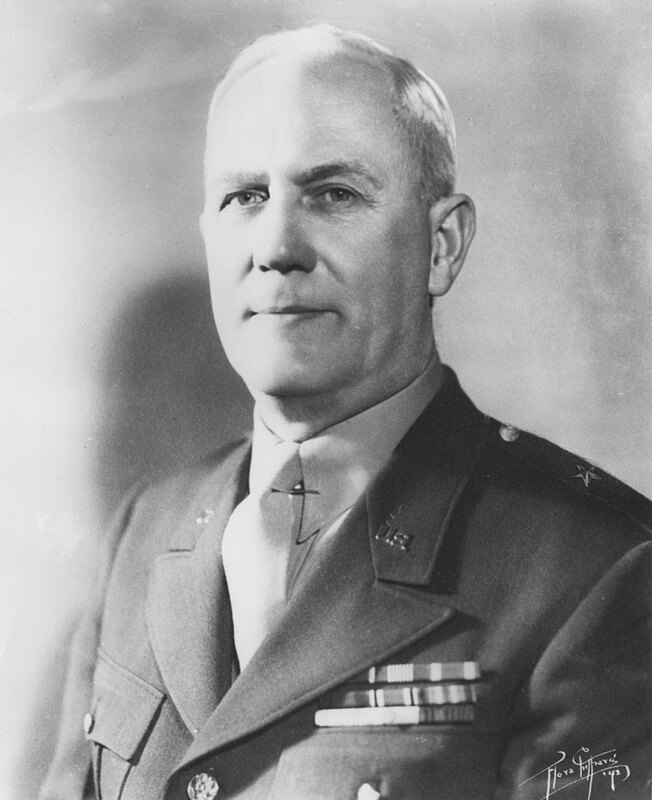 During the early years of his Rock Island command and into WWII BG Ramsey was responsible for developmental prototype projects and production of artillery carriages; self-propelled carriages; recoilless gun carriages; halftrack vehicles; transport wagons; light, medium, flame throwing tanks; armored car turrets; hydropneumatic recoil mechanisms, gun mounts for airplane armaments, mortar mounts, and rocket launchers. He was commander when the M2 tank was developed, when the Arsenal did prototype work on the M3 Grant, and when RIA did similar work on the T7. BG Ramsey was also significant in small arms production as the Arsenal produced 84,945 machine guns and 715,000 machine gun barrels in World War II. RIA also overhauled 109,073 machine guns and 133,435 .30 caliber rifles of various types during the war. This development and manufacture expertise was significant as the Ordnance Department mobilized for WWII. Besides this key development and production work BG Ramsey was instrumental in supplying parts to the Army at war. He was also in command of the Rock Island Ordnance Depot, one of only four Army master depots during WWII. Master depots stocked every item required for the maintenance of certain classes of materiel. Rock Island Ordnance Depot was responsible for artillery, tank, tractor, small arms parts and supplies. The size and scope of being a master depot required other changes. Ramsey oversaw the construction of Rock island’s Building 299, which remains the world's largest ordnance storehouse. Building 299 covers approximately 17.7 acres under one roof with space enough for 17 football fields inside. This structure was equipped with rail tracks and could load and unload a complete train at its interior docks. BG Ramsey was also critical to Ordnance in his appreciation for developing manufacturing expertise. In 1937 he reestablished the Rock Island Arsenal Machinist Apprentice School, which provided critically needed skilled craftsmen for ordnance production during the war. In the early part of WWII BG Ramsey seized the initiative and personally pledged greater assistance to commercial firms interested in converting their plants to defense production. As such he was an important player in the Ordnance Department’s efforts to develop a partnership with private industry. The forming of such an Industrial-Ordnance Team was key to Allied victory in World War II. BG Ramsey was especially important in partnering with the British in WWII. As commanding general of RIA, and later the Rock Island Ordnance Center, BG Ramsey was of great assistance to the British Army Staff during the emergency created by the Battle of Britain in 1940. He was responsible for the preparation and dispatch of artillery equipment and other war materiel from Rock Island to the United Kingdom during the crisis. The war material was so critically needed by Great Britain that British liaison officers were assigned to Rock Island Arsenal to coordinate the shipments of ordnance from the Arsenal. BG Ramsey knew that it would not be enough to ship materiel. He personally directed preparation for a British detachment to spend two months at Rock Island Arsenal studying recoil mechanisms produced at the arsenal to familiarize them with the weapons that the British were receiving from the United States. The British Army Staff and War Office was so impressed by BG Ramsey's leadership that the British Government awarded him a citation as Honorary Commander, Military Division of the most Excellent Order of the British Empire for service rendered during World War II. This special ceremony took place off shore in New York City on board the RMS Britannic during the summer of 1948. Since his death the Army has honored BG Norman F. Ramsey with two dedications. On September 25, 1964, Picatinny Arsenal dedicated the Arsenal's Quality Evaluation Laboratory, as the Norman F. Ramsey Building. More than 200 key civilian and military leaders attended the dedication. On June 17, 1967 the Rock Island Arsenal dedicated a newly constructed combat vehicle test track in his honor. The 54,487 foot, figure-eight track, was constructed to test the quality and reliability of combat vehicles rebuilt at the Arsenal. Ordnance manufacturing system and led to critical contributions to the WWII victory effort. He was admitted to the U.S. Army Ordnance Corps Hall of Fame. Brigadier General Norman F. Ramsey's son Norman F. Ramsey Jr., a physicist, received the Nobel Prize in Physics for his work on the atomic clock. 1942 - Honorary degree, Doctor of Laws, St. Ambrose College, Davenport, IA. 1967 - Dedication of the Ramsey Combat Vehicle Test Track at Rock Island Arsenal, Rock Island, Illinois. 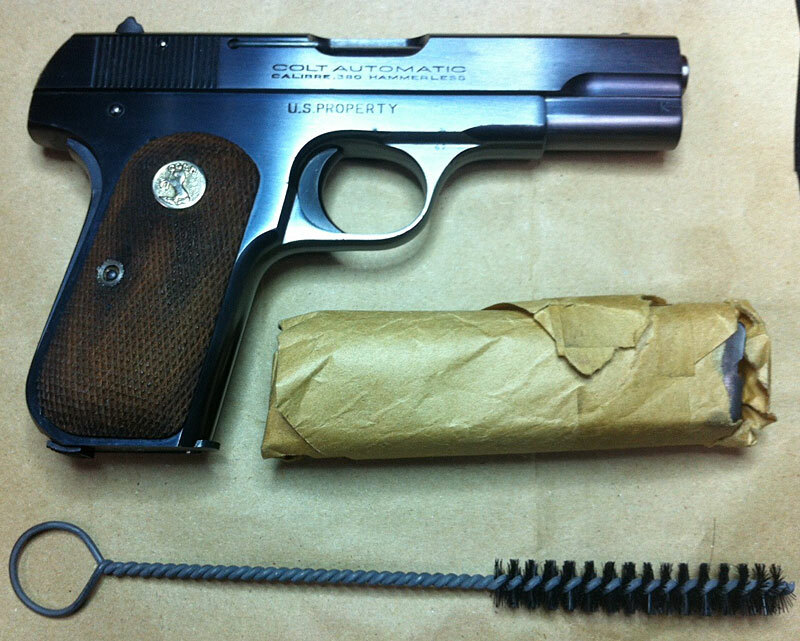 Colt 1908 Pocket Hammerless .380 ACP issued to Brigadier General Norman F. Ramsey - serial number 136397 right side pictured with original wrapped magazine and twisted wire cleaning brush. 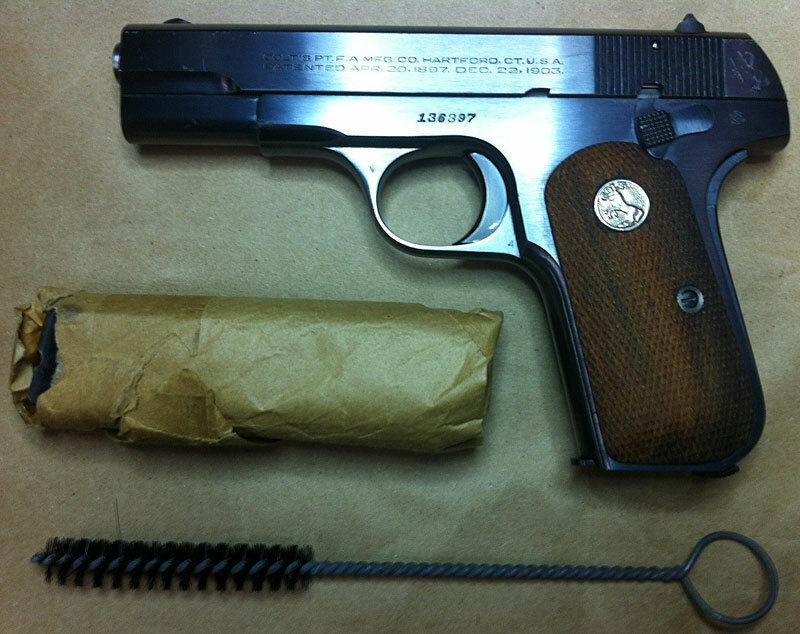 Colt 1908 Pocket Hammerless .380 ACP issued to Brigadier General Norman F. Ramsey - serial number 136397 left side pictured with original kraft two piece box numbered to the gun. 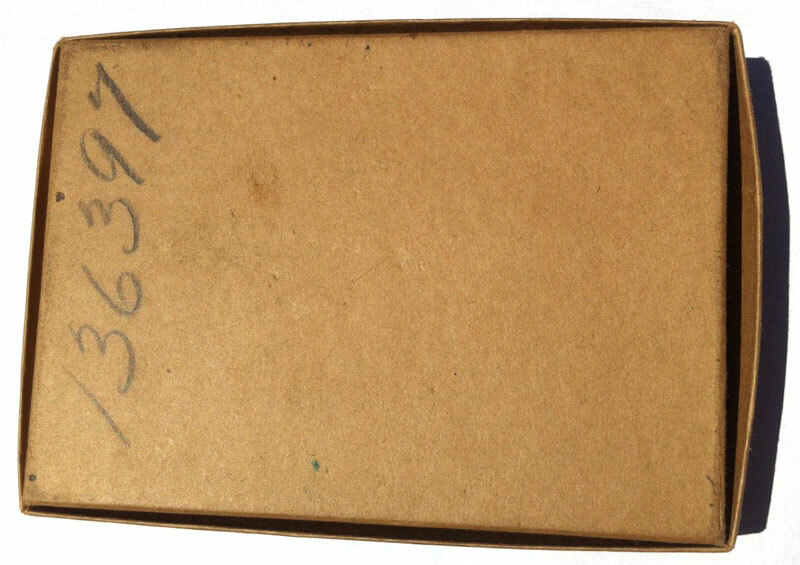 Colt 1908 Pocket Hammerless .380 ACP issued to Brigadier General Norman F. Ramsey - original kraft two piece box with hand written serial number 136397. American War: Participated in campaigns in the Philippine Islands. Oct 1905 - Jun 1907 Second Lieutenant, Philippine Islands: 2nd Battalion, US 9th Infantry, officer for Battalion Quartermaster and Commissary. Assistant to Officer in charge of Ordnance School of Application, in charge of machine shop and supervision of armament work in Sandy Hook District; Disbursing Officer and Assistant Proof Officer. Aug 1909 - Sep 1911 Detail to Ordnance Department as student officer at Watertown Arsenal, Mass., taking practical shop course. At times in charge of machine and blacksmith shops and quartermaster and commissary. Participated in flood relief at Hickman, KY and New Madrid, MO. Department (Detail), Asst to Officer in Charge of Shops at RIA, Rock Island, IL. Oct 1918 - Apr 1920 Liaison Officer with the Direction d'Artillerie and Assistant Military Attaché, Paris, France. Chief Ordnance Officer, Service of Supply, US 3rd Army; Chief of Supply Division, Office of Chief Ordnance Officer, American Expeditionary Forces (AEF), France. Assistant to Chief Ordnance Officer, AEF. Chief of Ordnance, Washington, DC. Jul 1944 Retired, but retained on active duty.